We are a leading Manufacturer of belt conveyor machine and tray conveyor machine from Noida, India. Fostered with a team of highly experienced professionals, we are offering our clients an array of superior quality Belt Conveyor Machine. Our professionals design this conveyor machine utilizing the finest grade of components and leading technology. Additionally, this conveyor machine is broadly demanded in the market owing to its optimum finish. Our conveyor machine is provided in varied specifications at the competitive rates. 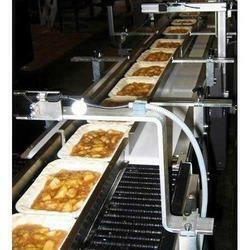 We have marked a distinct position in the market by providing Tray Conveyor Machine. 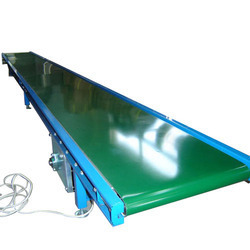 The offered conveyor machine is given in numerous specifications as per the demand of customers. This conveyor machine is precisely manufactured with top grade materials and modern technology. Our conveyor machine is well tested on number of quality parameters for supplying the defect free range.